I'll have a full preview of my plans for next week's DexCon up on Monday, but I wanted to share some cool news with you. The convention organizer called last night to tell me that the session I had scheduled for Captains of Industry already had 6 reservations for its 5 slots. Because of scheduling concerns, I had only scheduled a single session of the game this time, instead of the normal two sessions. I also feared that my forced name change would lead to the game not being recognized by those who had played it before at these conventions and consequently a lower signup rate. I am ecstatic to learn I was wrong. The organizer asked me if I could run two tables of it simultaneously, as he felt I would get more than the 6 reservations if I did so. My only concern was I don't have a second copy ready, but it would be foolish to turn away players, so I agreed. Of course, now I have to scramble to assemble another copy (and hopefully make it look nice), but that's okay. 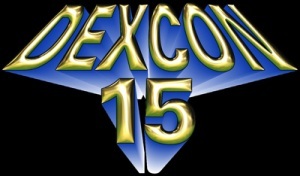 This has given me yet another reason to be excited about DexCon. Awesome news, Michael. Looking forward to seeing you there.